This is a good start, but there are still 72 restaurants in the Plattsburgh area that need accessibility ratings. This is a long-term project, and in January, 2017 will be the first Winter Accessibility Month. In the meantime, you can still help us by registering for free at AbleRoad, looking up unrated restaurants in the 12901 Zip Code, and giving star ratings the restaurants you visit. Start by visiting AbleRoad and getting set up to add accessibility ratings. Or, you can call, (518-563-9058), or stop by NCCI and ask for a list of restaurants to rate. Act today to stop the Republicans in the Senate from repealing the Affordable Care Act (ACA) and making devastating cuts to Medicaid! The Graham-Cassidy proposal is the latest attempt to repeal the Affordable Care Act (ACA) and gut the Medicaid program. It will have a devastating impact on Medicaid, especially in New York State, which will suffer billions of dollars in Medicaid funding cuts if this bill passes. This bill is gaining momentum in the Senate, and it must be stopped! While our New York Senators are thankfully opposed to this harmful bill, it is important that we push for Republican Representatives in the House to come out in opposition! Call the following Congressional Representatives and urge them to come out publically in opposition to the Graham-Cassidy bill. - Oppose the Graham-Cassidy proposal and any other bill that cuts, caps, or block grants Medicaid. - Support bi-partisan efforts to stabilize the healthcare marketplace and improve healthcare for all. This is an Action Alert from the New York Association on Independent Living. 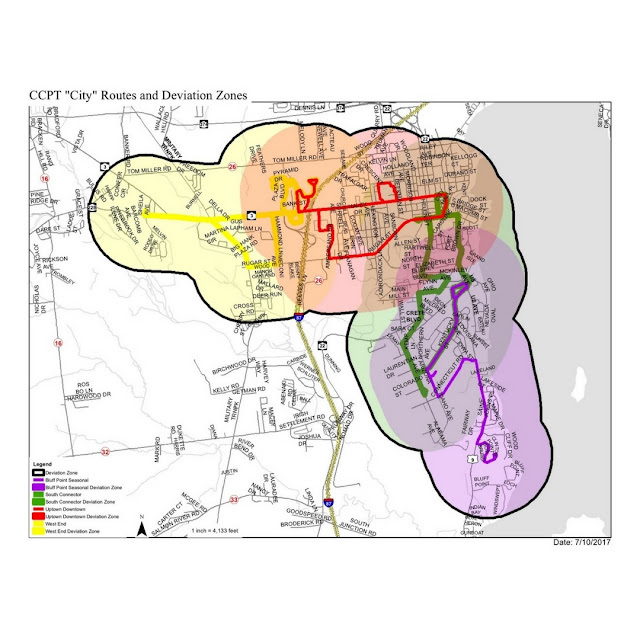 The Clinton County, NY Legislature is due to vote at their September 27, 2017 meeting on a plan to reduce transit costs by eliminating Paratransit services in the greater Plattsburgh area, and replacing it with route deviation. Click here to read the full plan. 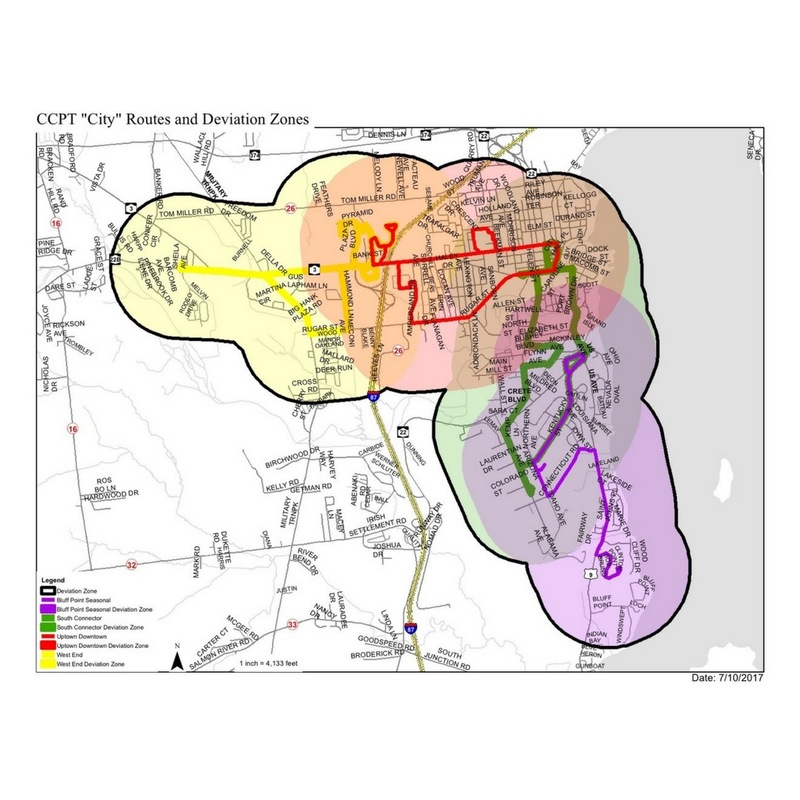 The plan includes this map showing the areas where Paratransit would be replaced by Route Deviation. Paratransit is an accessible bus service intended to serve people with disabilities who can't navigate the regular bus routes and schedules, even when those buses are physically accessible. It is an individual pickup service, currently available by appointment throughout the county, during regular bus hours. Route Deviation is when a bus diverts from its regular public route to pick up a specific passenger, such as a person with a disability. It provides a more limited door to door service within a narrower area, and is dependent on the regular bus schedules. If you care about this issue, please contact your Clinton County Legislator before September 27. They especially need to know if this plan would adversely affect your mobility and access to healthcare, employment, and everyday commerce within the county. Action Alert: Call Now to Oppose Graham-Cassidy Repeal Proposal! Take action today and over the next few days to stop the Graham-Cassidy repeal proposal from gaining any more traction in the Senate! This effort will derail any bi-partisan action on cost sharing reductions and could lead to the decimation of Medicaid and the Affordable Care Act (ACA). The Republicans have only two weeks before their ability to pass an ACA repeal with 51 votes expires on September 30. Reports are they are getting close to the needed number of votes- even though the public is more opposed to ACA repeal than ever. This vote has moved up on the list of Republican priorities and must move up on ours! • Eliminates subsidies that help moderate income people afford coverage forcing millions into the ranks of the uninsured. The country has moved on from repeal. They want and expect Republicans and Democrats to work together to stabilize the health insurance marketplaces, protect children's health, and take steps to help people afford the coverage they need. These bipartisan efforts are where Congress should be placing its focus, not on last-ditch attempts to resurrect ACA repeal measures the Senate has already rejected. The North Country Center for Independence has administered the Radio Reading Service for nearly two decades, and we are so grateful for the amazing volunteers that have made this program so strong and vital for so many years. Times are changing though and technology has changed the way blind and visually impaired people access print material. There are so many options out there that didn’t exist when the program first started. NCCI’s funding priorities are also changing, and as a result of these changes, we have decided to close down the Radio Reading Service effective September 30th, 2017. This was a difficult decision for us, it was not made lightly. Two of NCCI’s board members are long time volunteers of the program, and three NCCI staff are blind or visually impaired, so we’ve always been big supporters of the Service. NCCI staff will provide assistance to any member of the community that needs help accessing local content that was previously available through the Radio Reading Service. We want to thank the listeners, our volunteers, and various funders, including the United Way, for the decades of support for this program. Please contact us at 518-563-9058 for assistance of any kind. The Radio Reading Service will continue to run through September 30th, 2017. North Country Center for Independence. Simple theme. Powered by Blogger.